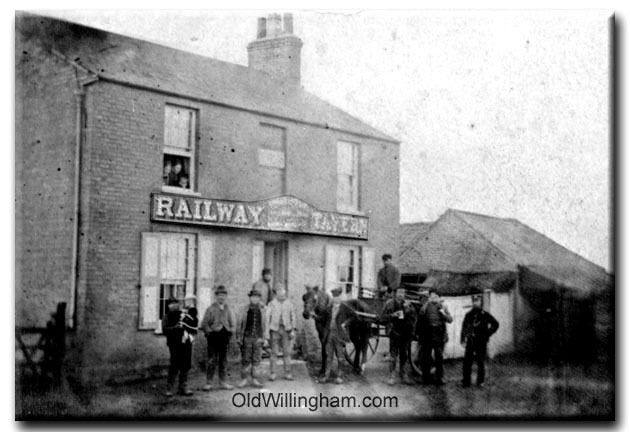 This month’s photo shows the “Railway Tavern” which, as the name suggests, was right next to the station. This building (now a private house) is still there just by the guided busway. We would estimate that the picture is around 1900-1910 and everybody wants to be in it, from the uniformed guard on the right, through the men with the cart (one of who seems to have his beer tankard still in hand) to the woman and children at the window.